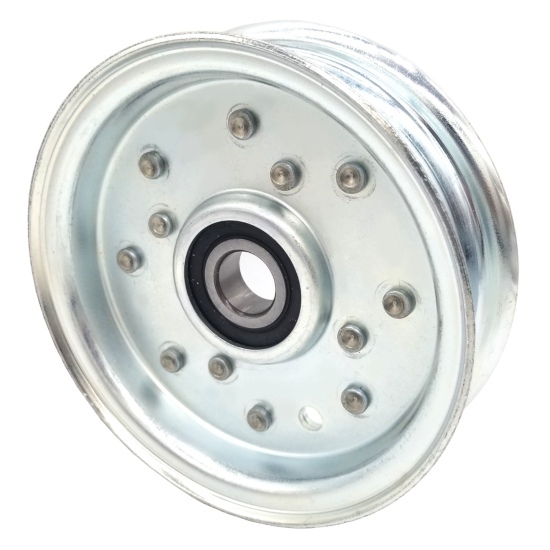 This Flat Idler Pulley is for use as a general purpose pulley for power transmission such as compressors, industrial fans, lawnmowers, snowblowers and electrical motors. It does not come with a bore adapter installed, the inside diameter is equal to the bearing diameter of 5/8''. 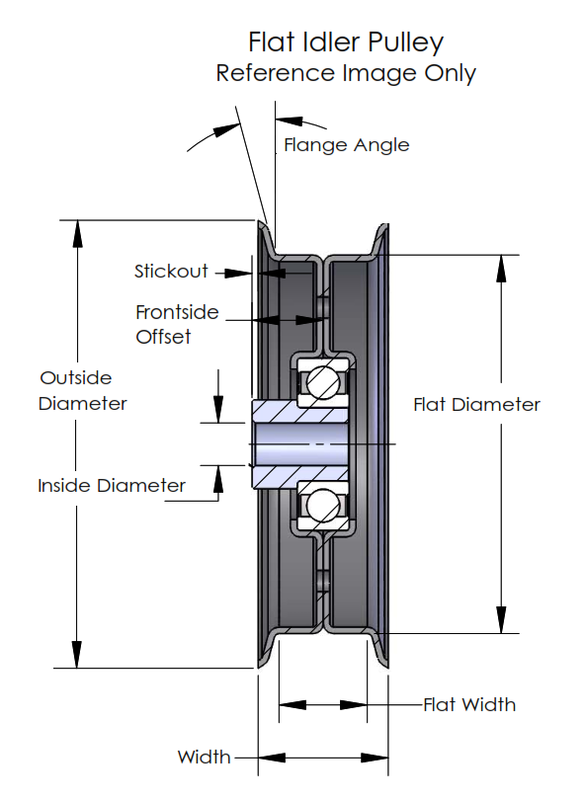 You can choose from the above drop-down menu if you would like a bore adapter inserted for no additional charge. 31400100 features a heavy duty sealed radial single-row bearing.The thick steel construction is designed to be more durable. This part is Zinc-coated for long-term rust prevention.